Professional landscaping: It's not just about increasing the value of your property or feeling good about inviting people over. It's also about looking out the window and seeing color in the winter, birds and flowers in the spring, relaxing on your patio with your favorite book or enjoying a quiet talk with a good friend. A beautiful landscape around your home can become a sanctuary for peace and tranquility after a hard day's work. 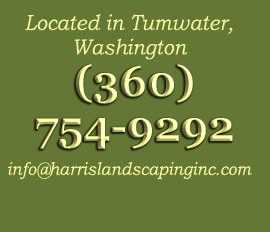 Harris Landscaping is celebrating 43 years of designing and installing a variety of unique landscapes to Olympia and South Puget Sound. And more! 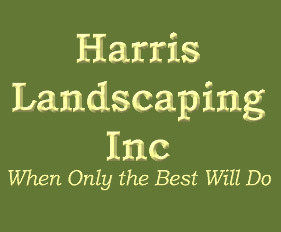 Call today and see what Harris Landscaping can do for you. (360) 754-9292.